Gay Central Valley: LAST CALL for Spring Fling! 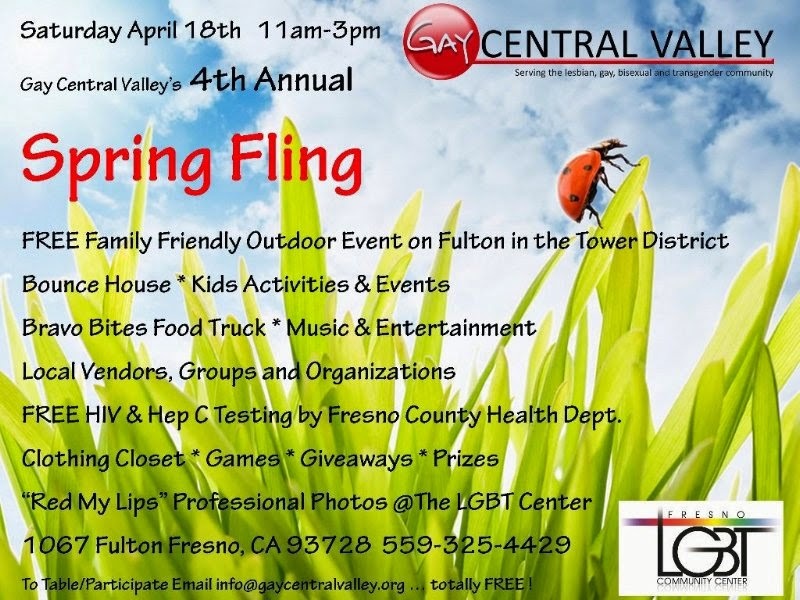 The Fresno LGBT Community Center's Fourth Annual Spring Fling happens THIS SATURDAY! We are now finalizing the list of vendors, entertainers and donations. If you'd like to participate we have some space left. This is a FREE event and tabling is also FREE.